Saturate Audio is still an infant label as it was established at the last months of 2012 but already manage to attract the attention and support of many big players incl Armin van Buuren, Markus Schulz and more. The second release for 2013 comes from two upcoming Greek electronic dance music producers with very diverse backgrounds. 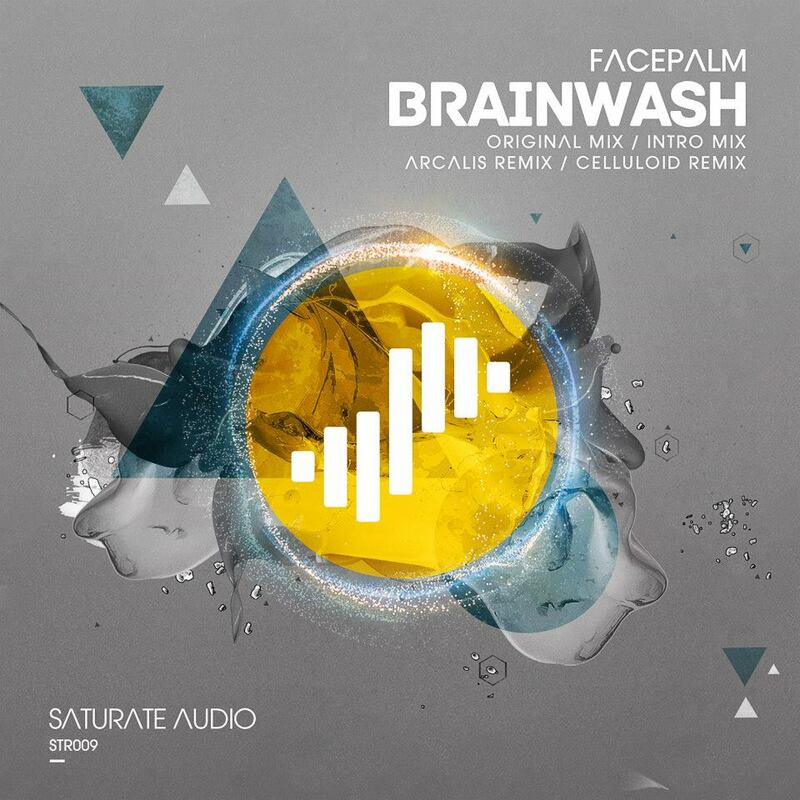 Their common project is called Facepalm and the listener can sense their influences cropping up on their top dark gothic trance track BrainWash. Facepalm are Phase Difference who mainly produces minimal techno and Christopher Vassilakis who has many trance productions under his belt. His most famous projects are Moonwalkers and Celluloid. The techno and trance heritage is evident within their Brainwash track. It starts with cinematic ambient intro atmosphere and then moves towards the first part with deep and dark bouncy techy beats and driving energetic basslines. Their breakdown is mysterious and haunting locking the mind of the listener building anticipation for the climax. When the beat kicks back nothing will remain the same as acid overtones will take over the track along with ethnic vocal samples in the background. The upcoming producer Arcalis well known from his releases on Interstate/Infrasonic provides his amazing vision of the track. He stays close to the deep and haunting roots of the original but he moves one step ahead with his own unique sounds. He introduces brand new trance riffs that work perfectly with his tribal techy beats and the dynamic basslines. The dreamy luscious magical melodies will mesmerize the listeners and hypnotize them too. The final part sounds more aggressive, in your face with added melodramatic and epic touches too. The remix package will be welcomed with the label owner Basil O’Glue teaming up with Christopher Vassilakis as Celluloid for their deep traveling inspiring cinematic adventure. It has great percussion, tribal trance beats and energetic basslines with attention to the depth of the sounds with strong melodic synthy lead in the climax that is quite understated without being in your face. BrainWash by Facepalm is a sure club bouncer not to be missed.